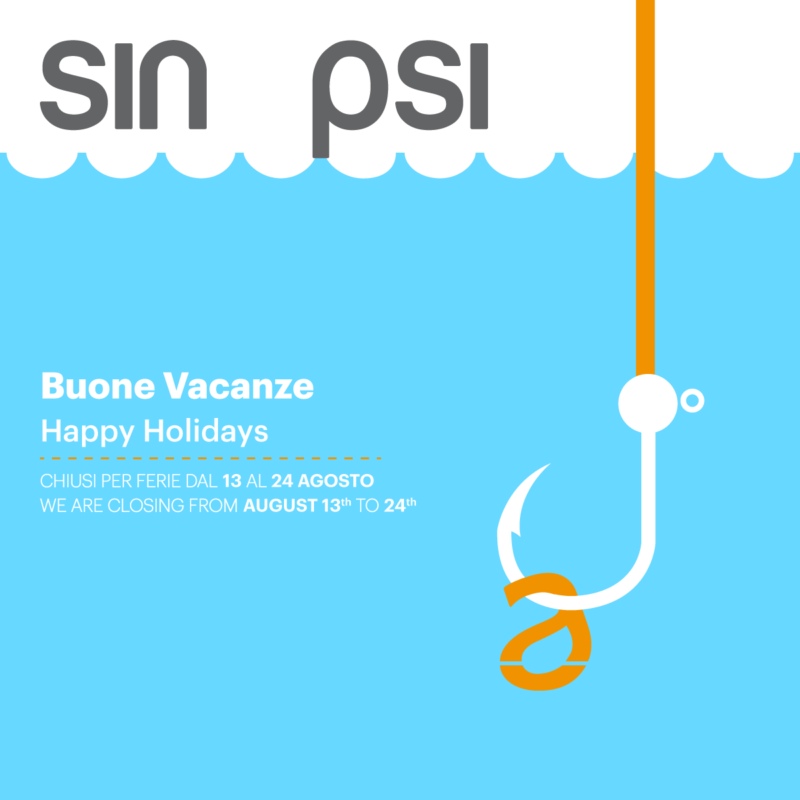 We inform Customers and Suppliers that SINAPSI’s offices are closing from August 13 to 24 . The CUSTOMER SERVICE are closing from 6 to 24 August. The last day to receive materials is 3 August. The devices under repair will be accepted and taken into charge starting from August 27th. All activities will resume on Monday, August 27th.